WHERE & WHEN WILL THE GATHERING TAKE PLACE? The Arhuaco, Kogi, Wiwa and Kankuamo. Santa Marta´s Sierra Nevada, located in the Colombian North Coast, is the highest coastal summit in the world and covers an area of 2.600kmt2. 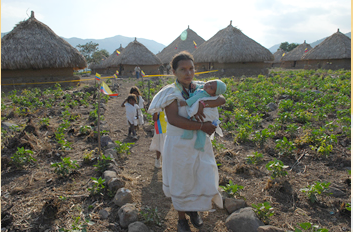 Santa Marta´s Sierra Nevada, is like the eldest human being of the world. The gathering, from Mamos’ Cosmological perspective, needs to take place in the Sierra Nevada because Creation was sparked with spiritual energy in this space. From the Mamos’ perspective all beings that exist in the universe, which are the manifestation of the sun, were originated in this space. UPON REGISTRATION YOU WILL RECEIVE ADDITIONAL INFORMATION REGARDING TRAVEL, HOTEL OPTIONS AND OTHER INFORMATION. WHAT YOU SHOULD KNOW BEFORE TRAVELING? Because the area is a bit remote, the organizers request participants who come from abroad to have travel insurance including medical. 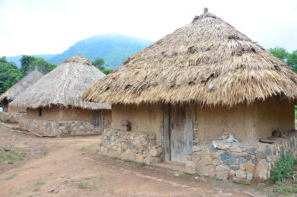 These huts are built in stone, wood and earth, with thatched roofs, and each accommodates 4 people sleeping in hammocks. Participants who want this option must bring a sleeping bag. The event will provide the hammocks. Participants can choose to camp. For this option it is required that you bring all the necessary camping equipment, including the tent. We will have a team of local people with experience taking care of meals during the gathering. Food will be natural, balanced and prepared with love. Participants will have the possibility to taste typical dishes of the region. Vegetarian meals are also available; please let us know in advance. Those with especial requirements in their diets, we suggest you bring your own food, as we are not able to meet specific demands.